After pushing Dan Smith off the top spot in the 2014 Global Poker Index Player of the Year race last week, Daniel Colman retains first position for a second week in a row. Meanwhile Ami Barer leaps up four spots to sit in second at present after making a couple of final tables at the APPT 2014 Asia Championship of Poker in Macau, including taking fourth in the ACOP Main Event for HK$2,025,000 ($261,116 USD). Anatoly Filatov also made a move this week to enter the top 10 at No. 8 after finishing seventh in the ACOP High Roller a few days ago. There were no changes among the top five of the overall GPI rankings where Dan Smith leads for a 12th-straight week. Ami Barer’s good showing in Macau moved him up five spots into the No. 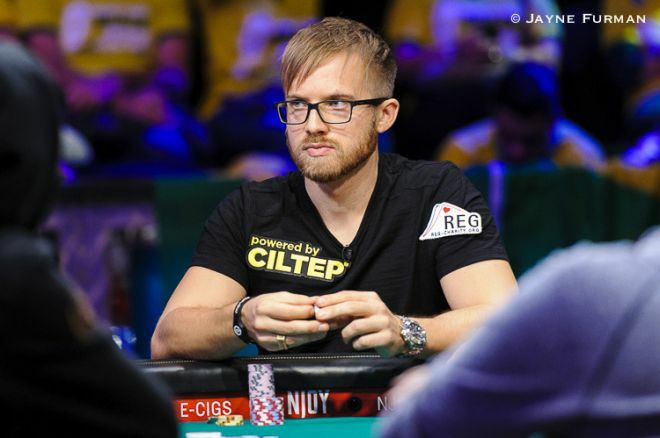 10 this week, while Martin Jacobson's triumph in the 2014 World Series of Poker Main Event pushed him up from No. 13 to No. 9. Jacobson equals his previous peak ranking in the GPI as he had been at No. 9 once before (for one week back) in April 2012. He had dipped as low as No. 149 in October 2013 before climbing back over the last twelve months, not unlike he did with his chips when coming back to win the bracelet. That Jacobson was the most seasoned live tournament player among the November Nine is shown by the GPI rankings, as he is the only Main Event final tablist within the current Top 300. The next-highest ranked players among the final nine are seventh-place finisher Dan Sindelar (No. 455), eighth-place finisher Bruno Politano (No. 545), and third-place finisher Jorryt van Hoof (No. 573). Seven players moved up into the GPI Top 300 this week, with Aaron Lim having catapulted all of the way from No. 574 to No. 276 after finishing fourth in the ACOP High Roller this week, thus building on his momentum after a couple of deep runs and cashes at the 2014 World Series of Poker Asia-Pacific series in October. Lim’s leap was the biggest of any of those in this week’s Top 300, with Fabian Quoss’s victory in the ACOP High Roller earning him a cash prize of HK$5,271,000 ($679,862 USD) and a big move from No. 291 up to No. 120 in the GPI rankings. Isaac Haxton also cashed in the ACOP High Roller (finishing 10th) to help him climp back up into the top 200. Finally among the players dropping the furthest this week while still staying inside the Top 300, Igor Kurganov tumbled the furthest, going from No. 209 to No. 294.